In this era of email intercepts and drone strikes, many believe that the spy is dead. What use are double agents and dead letter boxes compared to the all-seeing digital eye?They couldn’t be more wrong. The spying game is changing, but the need for walking, talking sources who gather secret information has never been more acute. And they are still out there. Frontline combat, strategic chaos, political intrigues, the truth about the enemy, and a tale of true heroes …. in the most dangerous place on earth. Synopsis: In December, 2007, Stephen Grey, reporting for the Sunday Times, was under fire in Afghanistan, ambushed by the Taliban. He was amidst the biggest UK-led operation fought on Afghan soil since 9/11: the liberation of a Taliban stronghold called Musa Qala. Taking shelter behind an American armoured Humvee, Grey turned his head to witness scenes of carnage. Two cars were riddled with gunfire. Their occupants, including several children, had died. Taliban positions were pounded by bullets and bombs dropped on their compounds. A day later, as the operation continued, a mine exploded just yards from Grey, killing a British soldier. Who, he wondered in the days that followed, was responsible for the bloodshed? And what purpose did it serve A compelling story of one military venture that lasted several days, Operation Snakebite draws on Grey’s exclusive interviews with everyone from private soldiers to NATO commanders. The result is a thrilling and at times horrifying story of a war which has gone largely unnoticed back home. “magnificent … a meticulously reconstructed account of the battle for Musa Qala … frequently more vivid than any film …. confers immense authority … ” – Misha Glenny in the Mail on Sunday. “superb …. captures the grit and the gore, the exhaustion and emotion, the killing and the dying, the horrors and the heroism… a fine piece of war reporting …” Raymond Bonnner in the The Guardian. ‘The Black Hawk Down of the Helmand book generation ….combines the same seamless weave of interview, observation and reportage as Mark Bowden did in Somalia, to stunning effect….. 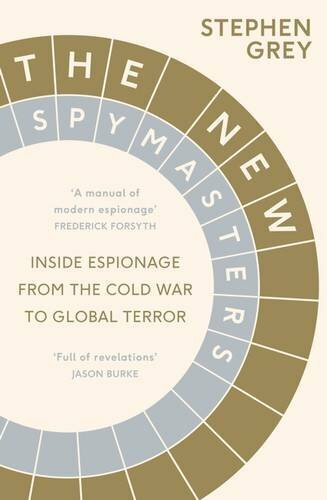 Farce, betrayal, intrigue and bloodshed: they are all here, examined with a deliberate and forensic eye, no less gripping for its detail… ignore it at your peril.’ Anthony Loyd, war correspondent of The Times. “The siege of Musa Qala is the story of coalition combat, courage, and the political undertones that colour a combatant’s every move. It is also a story of those who paid the ultimate price for their comrades, their units, and their countries …A useful and significant book.” Lester W Grau, Military Review (USA). 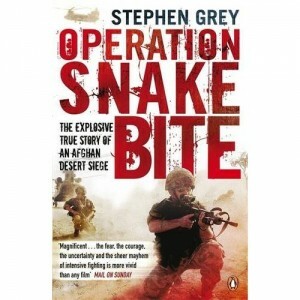 “Of the recent first-hand accounts of Helmand, Stephen Grey’s book is the best. It is gripping and insightful in equal measure, … a powerful and poignant account of a critical phase in the British campaign.” — Theo Farrell, professor of war studies, King’s College, London. Synopsis: In December 2005, Condoleezza Rice, the US Secretary of State, assured the world that the flights of CIA private jets that have criss-crossed Europe since 9/11 had no role in the sending of prisoners to be tortured. ‘The United States has not transported anyone, and will not transport anyone, to a country when we believe he will be tortured,’ she said. Tony Blair assured Parliament: ‘I have absolutely no evidence to suggest that anything illegal has been happening here at all.’ But as Stephen Grey reveals in “Ghost Plane”, Rice’s claims were a falsehood – and Britain’s government has also turned a blind eye to a CIA operation that systematically out-sourced the harsh interrogation of its captives. Interviewing sources from the most senior levels of the current and former US administration, from the CIA’s department of operations, Grey reveals how the agency’s program, known by the euphemism ‘extraordinary rendition’, has transported hundreds of prisoners to foreign jails and its own secret facilities in the full knowledge they will face harsh torture. ‘Of course we do torture’, one former senior CIA operative told Grey. ‘Imagine putting President Bush’s head under water and telling him to raise his hand when he thinks he’s being tortured. Give him the water-board treatment, and he’d be raising his hand straightaway.’ From the dark cells of Syria’s ‘Palestine Branch’ interrogation center – where inmates are detained for months on end in cells the size of coffins – to secret CIA jails in Afghanistan that bombard prisoners with 24-hour rock music, Grey uses the prisoners’ accounts and thousands of CIA jet flight logs to weave a vivid tale of life inside this hidden ‘extra-legal’ netherworld that is America’s international prison network. Including interviews with pilots that flew the CIA’s jets and packed with exclusive revelations, “Ghost Plane” reveals the extraordinary detective work that tracked down the Agency’s covert aviation network. Grey shows how it emerged from the former Air America that flew in Vietnam and Laos. Tracing the history of rendition back to the mid-1990s, he then shows how after 9/11 rendition expanded beyond recognition into what amounted to a systematic torture program – a terrifying world of endless interrogations, frequent transfers round the world, and detention without charge And all was authorised by the White House. ‘Stephen Grey has broken many of the first and best news stories about the CIA’s secret program of terrorist renditions. 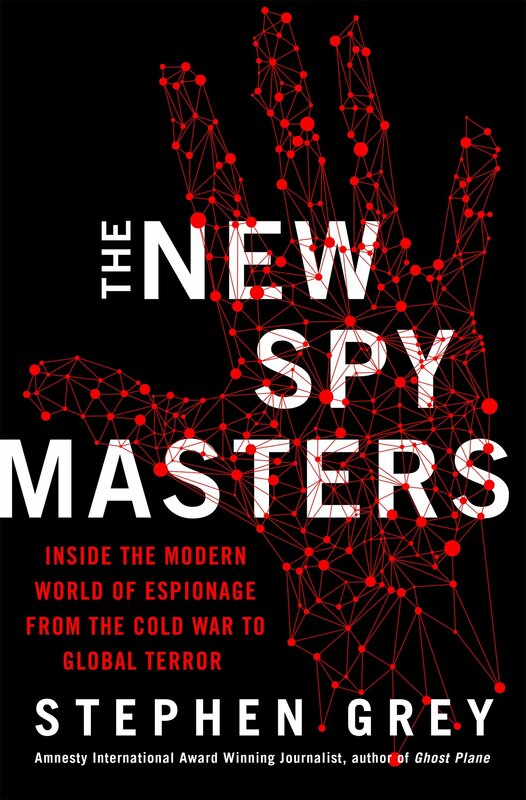 He got the flight plans of the CIA’s fleet that everyone else wanted to see.’ -Jane Mayer, The New Yorker. ‘A pioneering study.’ -London Review of Books. Pingback: War Is Business | who benefits? How can i get a free copy of “Ghost Plane” book? If you please i want to have a copy of “The Ghost Plane”.”.I see it is an important book interests us as Arabs and Egyptians in particular. My name is Drew Ruana. I am an 8th grader at Timbercrest Junior high. Right now we are doing a project called National History Day (NHD). For my NHD project, I chose to do a website on the CIA. When I was researching, I stumbled across your book, Ghost Plane. It greatly supported my thesis. Is their anyway I could interview you for more information? If so, thanks, and if not, that’s okay too. Enjoyed much your show on Coast to Coast. I offer a website on some views I hope are someday reviewed by that excellent program and its important audience. I can send free PDF’s of the books.